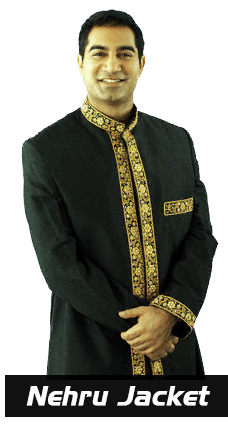 The Nehru Jacket was named after Jawaharial Nehru, the first Prime Minister of independent India. The jacket was well known for its lack of lapels and lack of a collar and was the favored apparel of such well known stars as Johnny Carson, Joe Namath, the Beatles and Mike Love of the Beach Boys. The most well known nehru connoisseur was Sammy Davis, Jr., who claimed to have owned over 200 of the jackets. The popularity of the Nehru jacket lasted only a few years in the fashion turbulence of the late 1960s and quickly faded into relative oblivion.